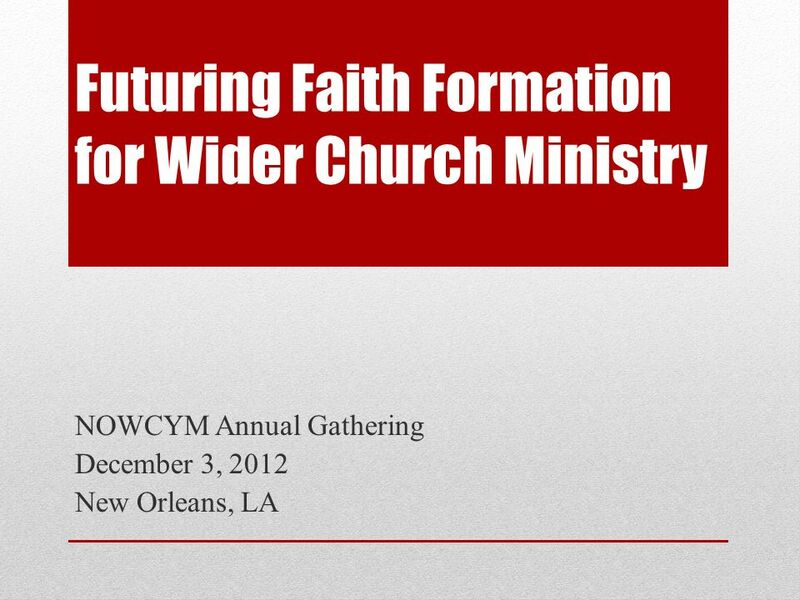 Futuring Faith Formation for Wider Church Ministry NOWCYM Annual Gathering December 3, 2012 New Orleans, LA. 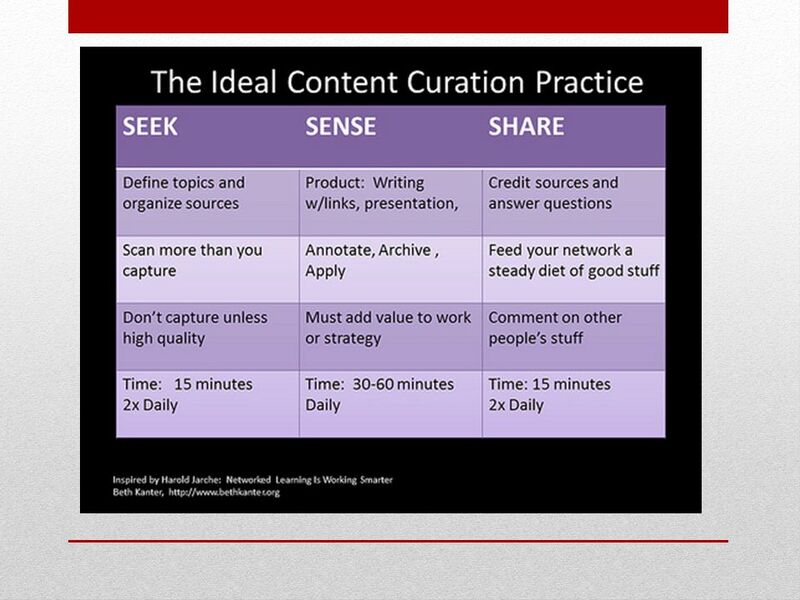 3 Overview How can we be curators of resources and content? 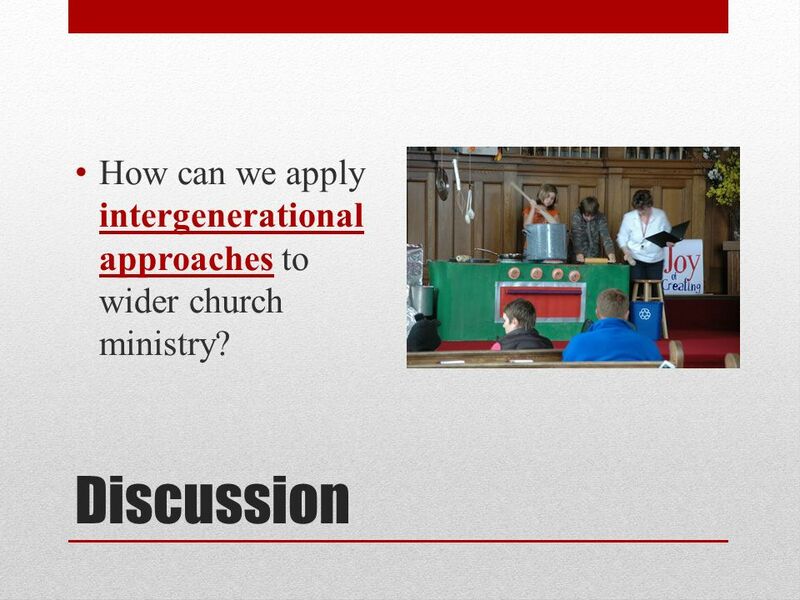 How can we apply intergenerational approaches to wider church ministry? 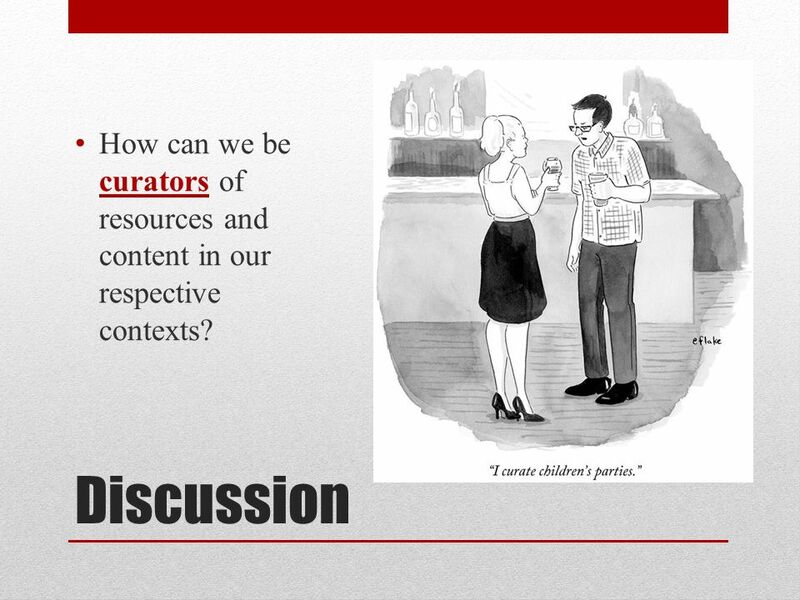 14 Discussion How can we be curators of resources and content in our respective contexts? 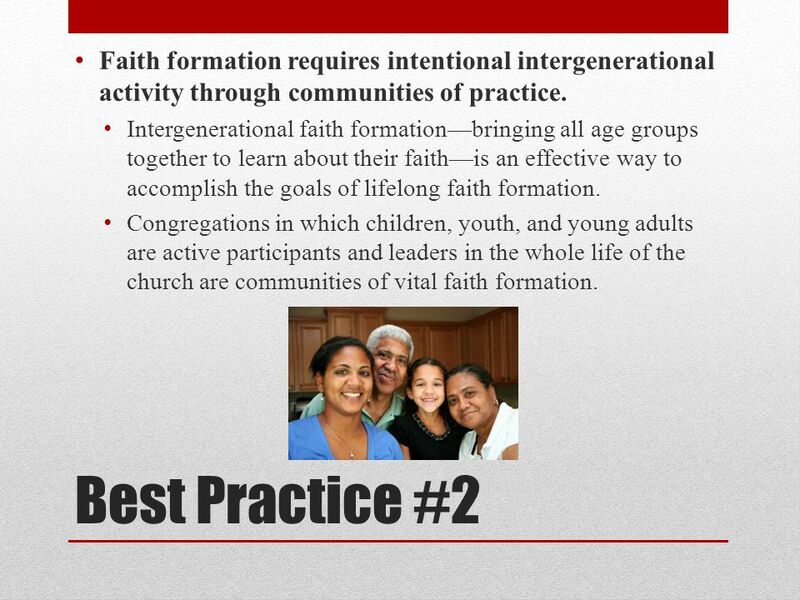 15 Best Practice #2 Faith formation requires intentional intergenerational activity through communities of practice. Intergenerational faith formationbringing all age groups together to learn about their faithis an effective way to accomplish the goals of lifelong faith formation. 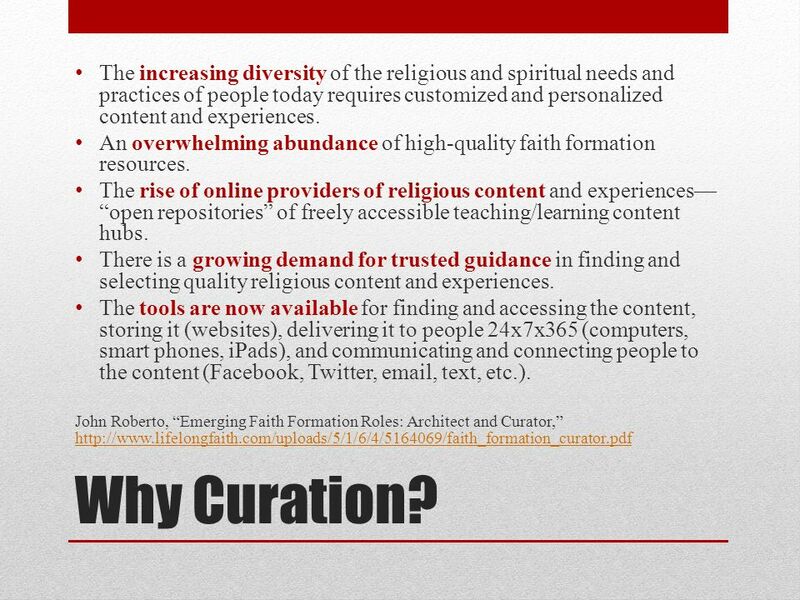 Congregations in which children, youth, and young adults are active participants and leaders in the whole life of the church are communities of vital faith formation. 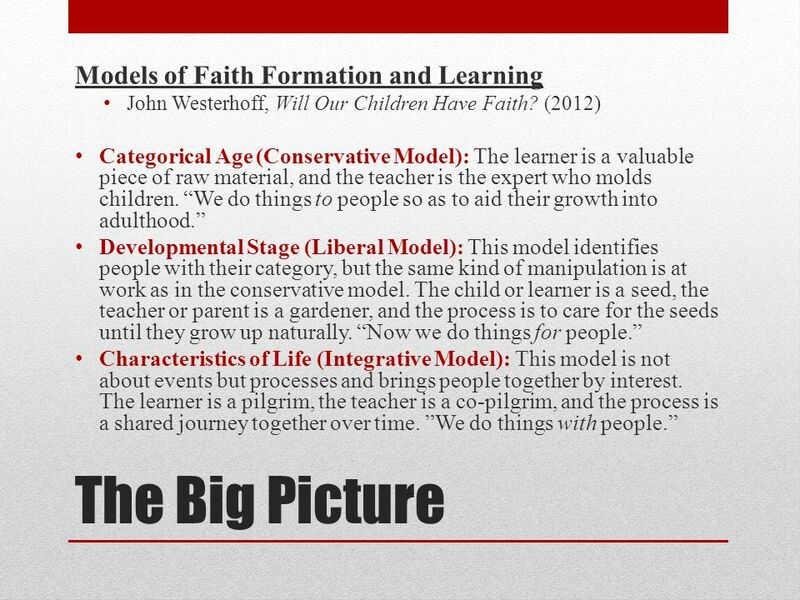 17 The Big Picture Models of Faith Formation and Learning John Westerhoff, Will Our Children Have Faith? (2012) Categorical Age (Conservative Model): The learner is a valuable piece of raw material, and the teacher is the expert who molds children. We do things to people so as to aid their growth into adulthood. Developmental Stage (Liberal Model): This model identifies people with their category, but the same kind of manipulation is at work as in the conservative model. The child or learner is a seed, the teacher or parent is a gardener, and the process is to care for the seeds until they grow up naturally. Now we do things for people. Characteristics of Life (Integrative Model): This model is not about events but processes and brings people together by interest. The learner is a pilgrim, the teacher is a co-pilgrim, and the process is a shared journey together over time. We do things with people. 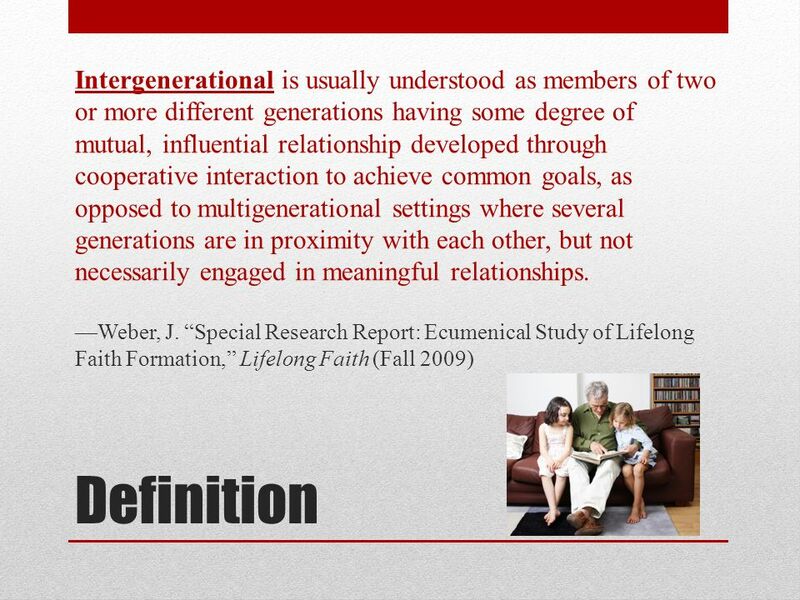 18 Why Intergenerational? Young people possess innate gifts, just like adults, which should be shared for the mutual growth and learning of the whole congregation. 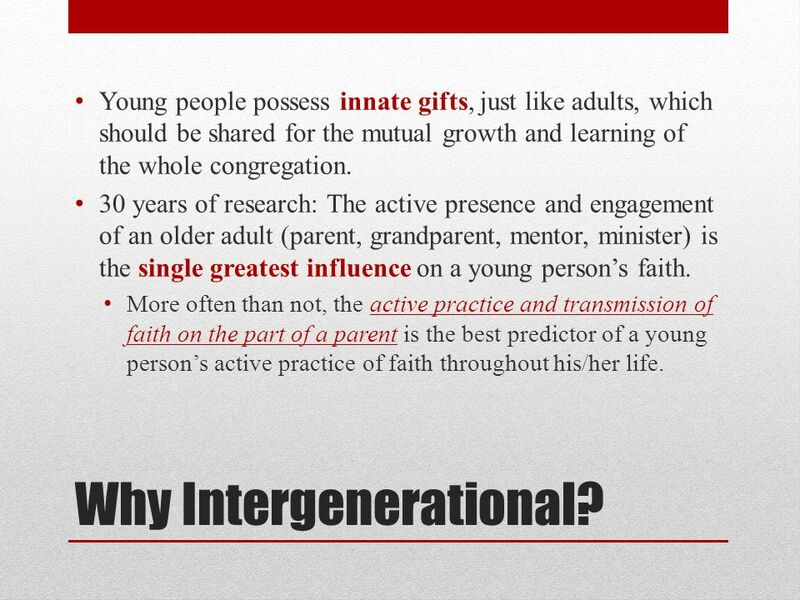 30 years of research: The active presence and engagement of an older adult (parent, grandparent, mentor, minister) is the single greatest influence on a young persons faith. More often than not, the active practice and transmission of faith on the part of a parent is the best predictor of a young persons active practice of faith throughout his/her life. 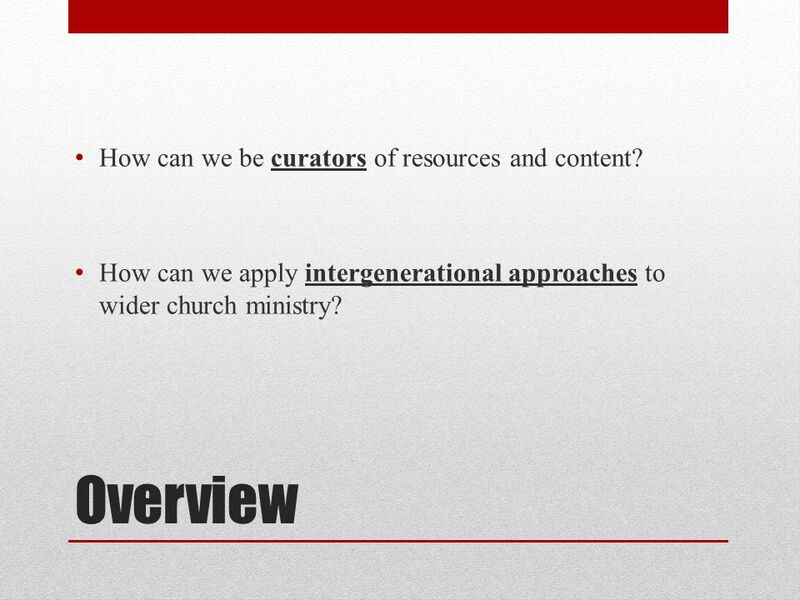 20 Discussion How can we apply intergenerational approaches to wider church ministry? Download ppt "Futuring Faith Formation for Wider Church Ministry NOWCYM Annual Gathering December 3, 2012 New Orleans, LA." Core Purpose Drawn together by the Holy Spirit, we are a distinct and diverse community of Christians that come together as one church, joining faith and. 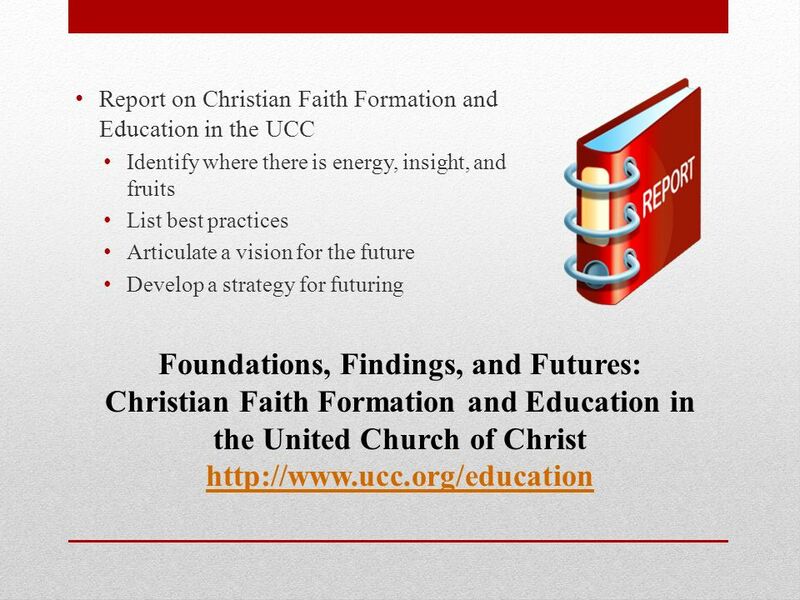 Foundations, Findings, and Futures: Christian Faith Formation and Education in the United Church of Christ Rev. 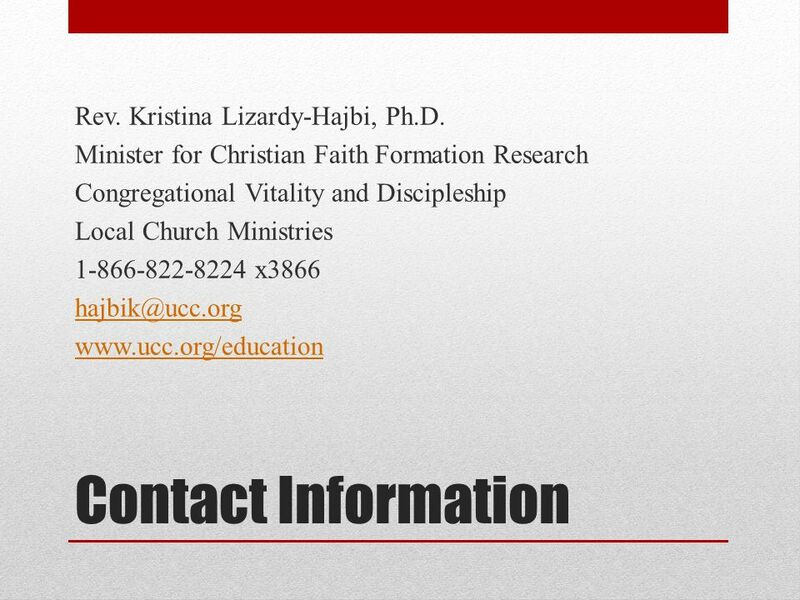 Kristina Lizardy-Hajbi, Ph.D. Minister. C ONGREGATIONAL V ITALITY AND D ISCIPLESHIP M INISTRIES Purpose, Focus and Partners. 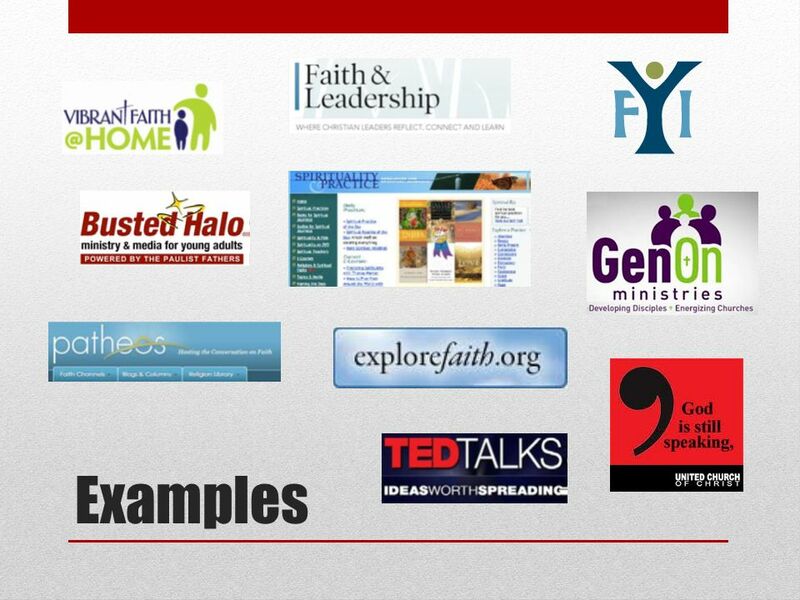 Nurturing Vital Discipleship and Church Membership Asylum Hill Congregational UCC Nurturing Vital Discipleship and Church Membership Asylum Hill Congregational. Christian Faith Formation: Best Practices in A Shifting Landscape United Church of Chapel Hill, Chapel Hill, NC November 3, 2012. Infusing Best Practices of Faith Formation into Your Congregation New England Association of United Church Educators May 7-9, 2013. 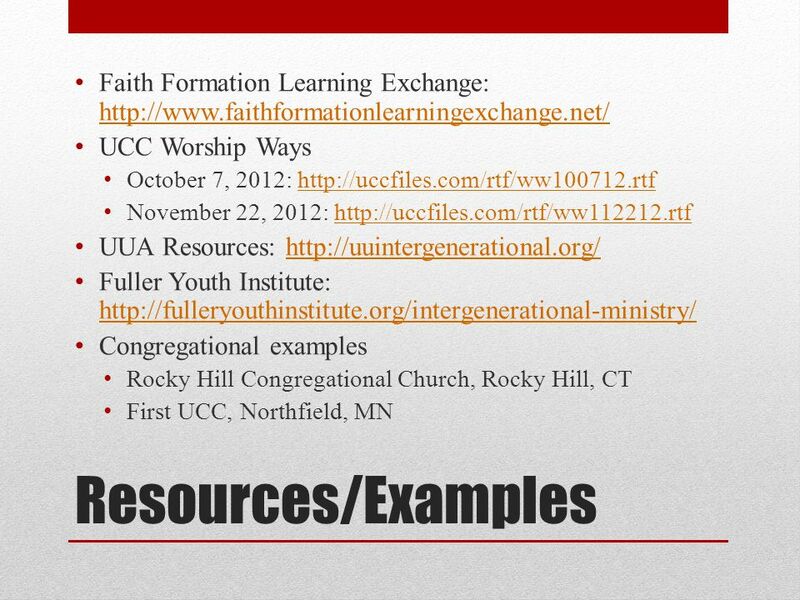 Foundations, Findings, and Futures: Christian Faith Formation and Education in the United Church of Christ Minnesota Conference October 20, 2012. 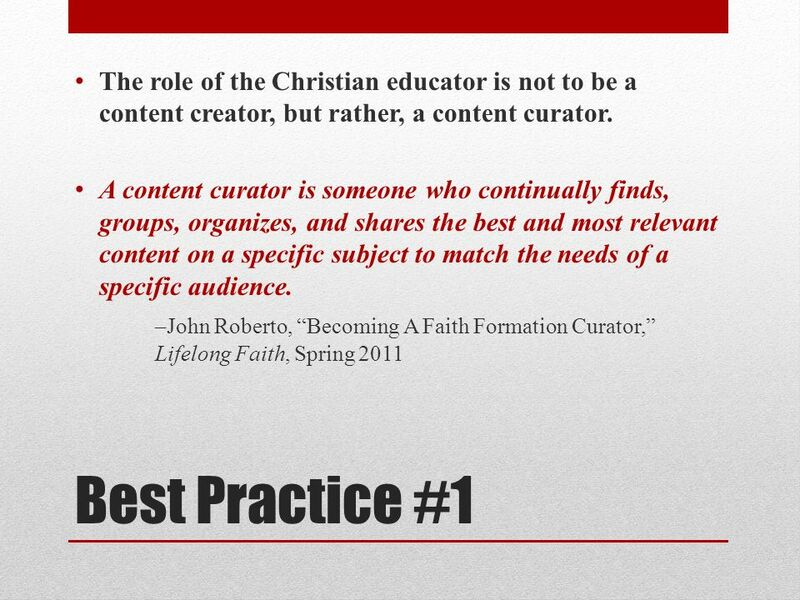 Futuring Faith Formation And Leadership Development UCC YASC Host Church Leaders Training January 29, 2013 Cleveland, OH. 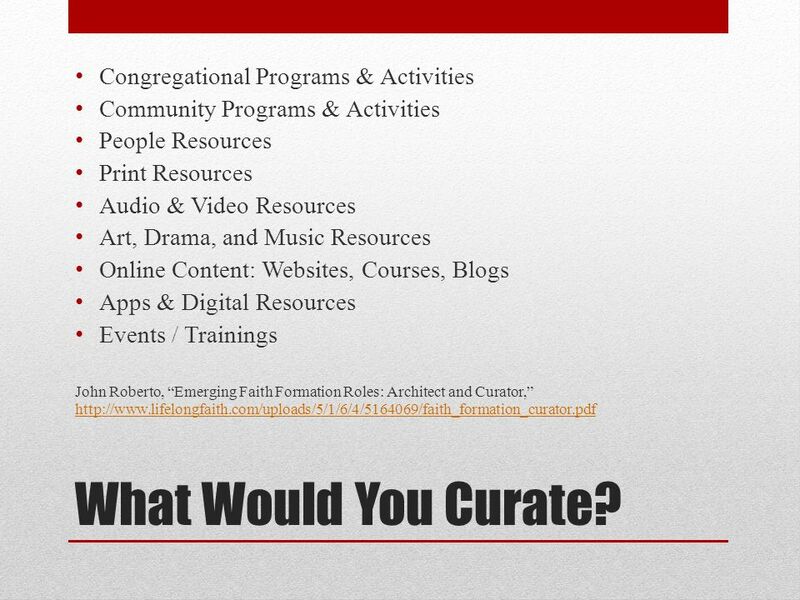 Faith Formation, Christian Education, or Other: Shaping Ministry in Your Church Congregations Alive! Energizing the Streams of Faith First Plymouth Congregational. What Makes Your Youths Spirits SOAR? An Multisensory Focus Group on Youth Faith Formation NYE 2012 Kristina Lizardy-Hajbi, Minister for Christian Faith. 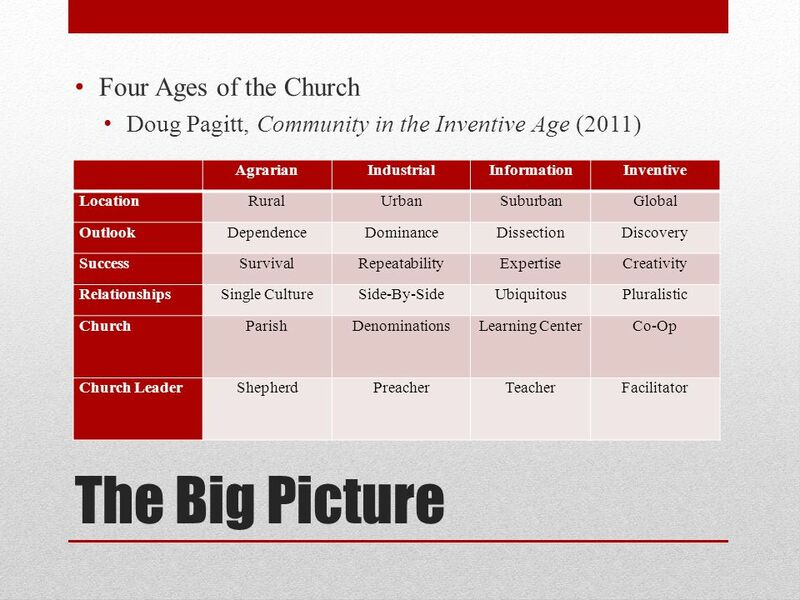 CONGREGATIONAL DEVELOPMENT TEAM REPORT ANNUAL CONGREGATIONAL MEETING March 3, 2013. OVERVIEW OF ADULT Sunday School September 5, 2003 Bill Alphin Bible Study and Discipleship Coordinator Virginia Baptist Mission Board. 12, ,308 2, September 2009 CAC Church School Sunday. 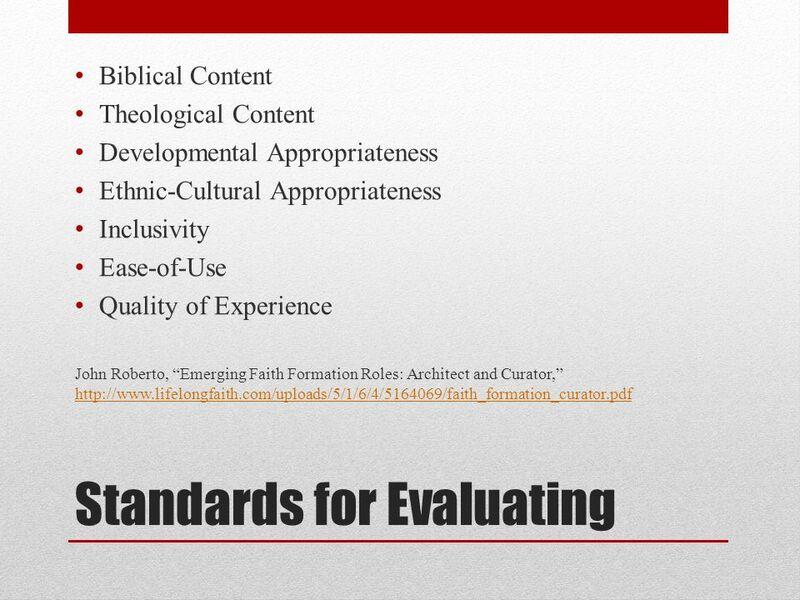 1.Driving Forces Affecting Faith Formation Today 2.Envisioning Faith Formation through Four Scenarios 3.Applying the Four Scenarios to Faith Formation.